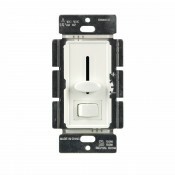 The 51300 is a decorator dimmer switch that provides optimal dimming performance of LED bulbs. 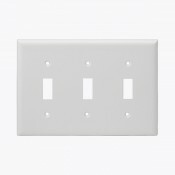 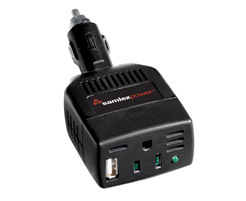 This dimmer works with up to 150-Watt of dimmable LED/CFL or 700-Watt of incandescent/halogen, allowing you to control multiple bulb types on the same circuit. 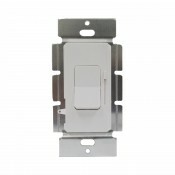 The 51300 dimmer features a mini paddle switch to turn your lights off or on and returning them to your desired level at any time.